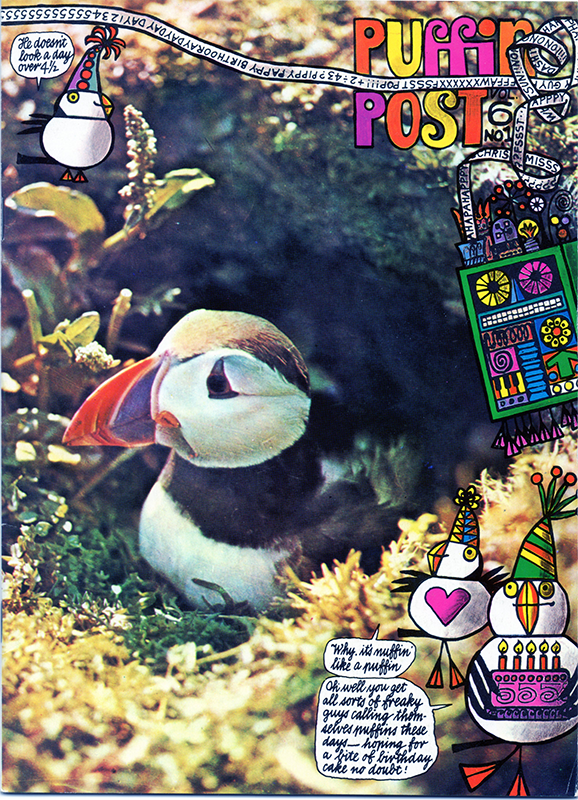 Despite the lack of a fifth (let alone a fourth) birthday celebration for the new Puffin Post, this is the photo-montage for the celebratory issue of Puffin Post by Jill McDonald. Something of a return to her previous use of photos and other material in conjunction with her unique and idiosyncratic artwork. Just discovered your wonderful Puffin Archive. I was a Puffin Club member in the late 60s and early 70s – throwing out my Puffin Posts is one of my biggest regrets but I may have some other memorabilia stashed away. Thanks! There aren't partial or complete Puffin Posts on this site are there? I know there's the copyright issue. However for items like P.P. which are unavailable and will not be reprinted, many would think that the non commercial online archiving is acceptable. I have quite a lot of the Music Workshop booklets. Always loved the programmes.